With the touch of an iPad®, spirio brings your Steinway to life. Hundreds of performances from the world’s greatest Steinway Artists invite you to enjoy exquisite piano music — live in your home. Great artists from Yuja Wang to Lang Lang to Chucho Valdés have recorded exclusively for the Spirio catalog. Each month, new music, videos and curated playlists are released and featured in our Spirio Spotlight. From classical virtuosos to jazz legends to today’s latest pop hits to historical performances by Steinway Immortals — the spirio music library is updated monthly and consists of over 130 hours of high resolution repertoire recorded exclusively for Spirio. Playlists, themes, and genres curated by steinway & Sons draw upon steinway’s renowned musical expertise to create the perfect mood for any occasion. The Steinway & Sons Spirio is the world’s finest high resolution player piano. A masterpiece of artistry and engineering in your home, Spirio enables you to enjoy performances captured by great pianists — played with such nuance, power and passion that it is utterly indistinguishable from a live performance. 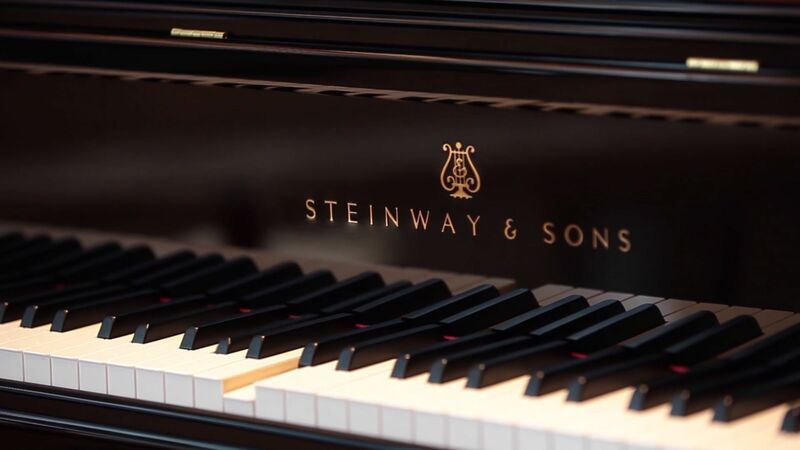 The STEINWAY SPIRIO remains a fully-functioning STEINWAY & SONS piano, with the same level of painstaking craftsmanship that goes into every single instrument Steinway produces. 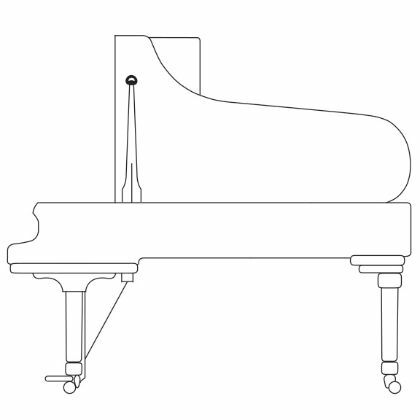 steinway craftsmen seamlessly install spirio at the time of the piano’s manufacture, ensuring no alteration in the exterior beauty or performance you expect from steinway. The high resolution library of repertoire is recorded in the STEINWAY & SONS Studios by a roster of over 1,700 Steinway Artists, exclusively for the STEINWAY SPIRIO, as well as significant historical performances by Steinway Immortals. Spirio’s high resolution playback system uses proprietary software to measure hammer velocity (up to 1020 dynamic levels at a rate of up to 800 samples per second) and proportional pedaling — for both the damper pedal and soft pedal (up to 256 pedal positions at a rate of up to 100 samples per second). The steinway & sons spirio reveals the subtlety and passion of an artist’s original performance. Soft trills, delicate pedaling, and thundering fortissimos present no difficulty for spirio — and are reproduced with unparalleled accuracy. 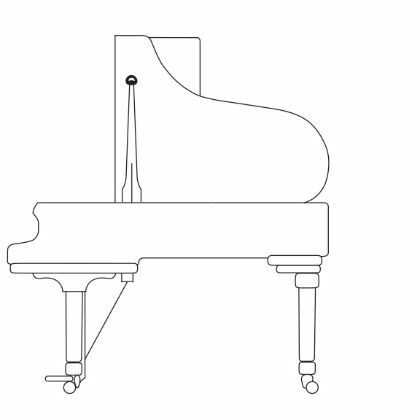 The result is a precise revelation of the pianist’s entire range of motion and emotion. The powerful Steinway sound, the ever-expanding content library and high resolution technology are all easily accessible through the STEINWAY SPIRIO app — an intuitive and easy-to-use interface. A complimentary iPad® is included with the purchase of a Spirio. As a Model B, this spirio is a magnificent 6' 11" (211 cm) grand piano, often referred to as the “perfect piano.” It’s a wonderfully balanced and versatile instrument that does extremely well in intimate settings, teaching studios, and mid-sized venues. Complimentary iPad® included. At 5' 7" (170 cm) in length, the Model M spirio features a rich tone and responsive action that is found not only in a great many homes, but in many schools of music and conservatories as well. Called the “Medium” grand, there is nothing medium about the sound from this instrument. Complimentary iPad® included. Thank you. Please click the button below to download the Spirio PDF.